On April 27, from 1:30 – 3:30pm, Saint Mary’s Church in Wappingers Falls will be hosting a workshop entitled “Introduction to Chant: Spirituality, History, and the Basics of Reading.” The workshop is sponsored by the Office of Liturgy and will be led by Dr. Jennifer Donelson, D.M.A. Dr. Donelson is a nationally recognized expert in Gregorian Chant, and the Director and Associate Professor of Sacred Music at Saint Joseph’s Seminary. The cost of the workshop is $15. This presentation is a wonderful opportunity for parish musicians and others in the northern counties of the Archdiocese to learn more about the Church’s beautiful history and practice of sung prayer. Traditional chants in both English and Latin will be introduced. Participants may register for this workshop at the Liturgy Office website. The Liturgy Office has recently received a number of questions concerning the distribution of Holy Communion by means of intinction. Due to concerns regarding the spread of the flu and other illnesses during the winter months, many parishes have chosen to refrain from offering the Precious Blood via the chalice to communicants during this period. With this in mind, some have asked whether it still might be possible to offer Holy Communion under both species through intinction. If Communion from the chalice is carried out by intinction, each communicant, holding a Communion-plate under the mouth, approaches the Priest who holds a vessel with the sacred particles, with a minister standing at his side and holding the chalice. The Priest takes a host, intincts it partly in the chalice and, showing it, says, The Body and Blood of Christ. The communicant replies, Amen, receives the Sacrament in the mouth from the Priest, and then withdraws (287). -Communion under both species is permitted in parishes of the Archdiocese of New York at the discretion of the pastor. -When distributing the Precious Blood, Communion from the chalice is generally the preferred form in the Latin Church (Norms for the Distribution and Reception of Holy Communion Under Both Kinds for the Dioceses of the United States of America, 42). -Communicants are never permitted to self-communicate, including by means of intinction (50). -Bearing in mind that it is the choice of the communicant, and not the minister, to receive the Precious Blood, when Holy Communion is distributed by way of intinction, communicants should be given the option to receive the host only (46). The Federal Communications Commission (FCC) has announced its planned completion of the transition of the 617-652 MHz and 663-698 MHz spectrum bands from wireless microphones and television broadcasts to wireless communicators (such as cellphone companies) by July 13, 2020. This transition began in 2017. 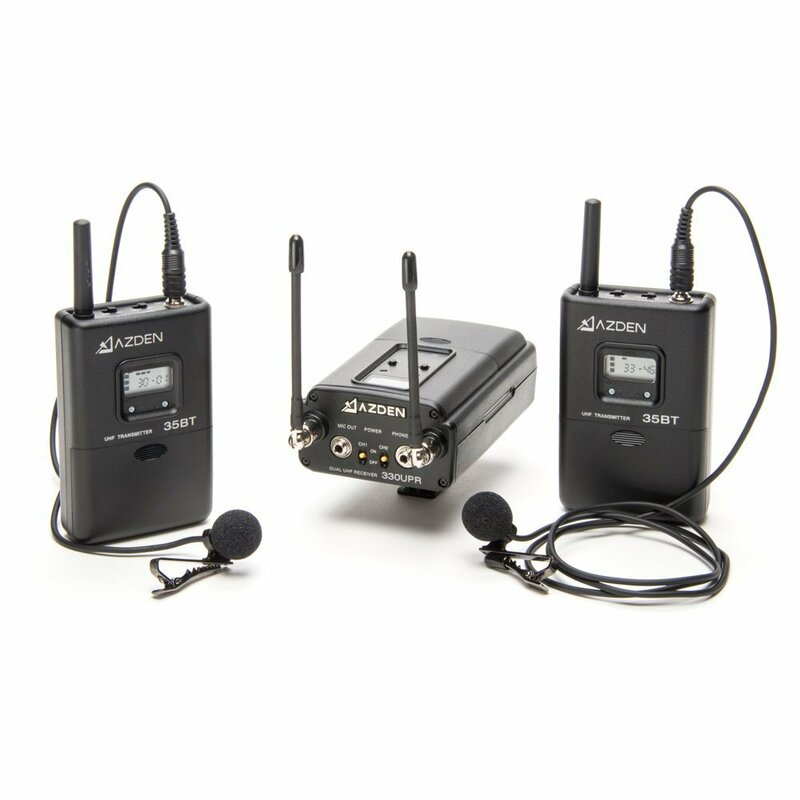 Parishes should be aware that 600 Mhz wireless sound systems (an industry standard for churches, until recently) will be vulnerable to sound system failure as of the 2020 completion date, if not earlier. Churches are strongly advised to contact the company which installs or maintains their wireless system as soon as possible to determine whether an upgrade is needed. Holy Water Fonts – Holy water in fonts should not be drained or replaced with any other substance (e.g., sand) during Lent. Fonts should only be emptied during the Triduum, that is, from after the Mass of the Lord’s Supper on Holy Thursday until they are refilled with water blessed at the Easter Vigil (Congregation for Divine Worship and Discipline of the Sacraments, Prot. N. 569/00/L). Infant Baptisms during Lent – Nothing prohibits infants from being baptized during Lent. Canon law indicates that “parents are obliged to take care that infants are baptized in the first few weeks after birth,” irrespective of the time of the liturgical year (c. 867). Candidates Not Dismissed at Mass – Unlike catechumens, the RCIA does not call for candidates to be dismissed prior to the Liturgy of the Eucharist during their preparation for full initiation (RCIA, 433, 545, 560). The Proclamation of the Passion on Palm Sunday and Good Friday – The Circular Letter Concerning the Preparation and Celebration of the Easter Feasts notes, “The Passion narrative occupies a special place. It should be sung or read in the traditional way, that is, by three persons who take the part of Christ, the narrator and the people. The Passion is proclaimed by deacons or priests, or by lay readers; in the latter case, the part of Christ should be reserved to the priest. The proclamation of the Passion should be without candles and incense, the greeting and the sign of the cross on the book are omitted” (33). The insertion of hymn texts, acclamations, or otherwise dividing/altering the reading is not envisioned by the rubrics. Holy Thursday – Bells are rung during the Gloria at the Mass of the Lord’s Supper on Holy Thursday. Afterward, the bells should remain silent until the Gloria at the Easter Vigil. Foot-washing – As recently decreed by the Congregation for Divine Worship, the optional foot-washing rite on Holy Thursday is no longer restricted only to male participants. Rather, “pastors may select a small group of the faithful to represent the variety and the unity of each part of the people of God. Such small groups can be made up of men and women, and it is appropriate that they consist of people young and old, healthy and sick, clerics, consecrated men and women and laity” (In Missa in cena Domini). There is no requirement that the group of persons having their feet washed be twelve in number. Good Friday – Either a plain cross or a crucifix may be used for the Veneration of the Cross during the Celebration of the Passion of the Lord (Built of Living Stones, 83). Only a single cross or crucifix should be used for veneration in order to underscore the symbolism of the Cross as the sole instrument of humanity’s salvation. As well, the Roman Missal clarifies that this liturgy “by its very nature may not… be celebrated in the absence of a priest” (“Friday of the Passion of the Lord,” 2). Music During Lent and the Triduum – In Lent, the playing of the organ and musical instruments is permitted only in order to support the singing of the congregation (General Instruction of the Roman Missal, 313). This same practice is to be observed from the Gloria in the Mass of the Lord’s Supper on Holy Thursday through the Gloria at the Easter Vigil. Accordingly, instrumental pieces should not be played during these periods. Sacraments During the Triduum – The Sacraments of Penance and the Anointing of the Sick may be celebrated during the Triduum (“Friday of the Passion of the Lord,” Roman Missal, 1). As well, Holy Communion may be given to the sick and homebound throughout the Triduum, but only as Viaticum to the dying on Holy Saturday. Faculties for Conferring Confirmation – For those Catholics who have fully participated in the process and catechesis of the RCIA, pastors, administrators, and any priest that a pastor or administrator sub-delegates may confirm when the celebration of Confirmation takes place during a Eucharistic Liturgy in the Easter season in the Archdiocese of New York. To confirm at any other time, delegation must be requested in writing from the Chancery. Scheduling the Easter Vigil – On Saturday, April 20, 2019, the end of civil twilight will take place at approximately 8:10pm EDT in the New York area. Inasmuch as the Roman Missal states that the Vigil must begin in true darkness (i.e., “after nightfall”), parishes should not schedule the start of the Easter Vigil until at least 8:30pm this year. 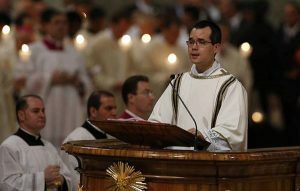 Readings at the Easter Vigil – The Roman Missal and Lectionary list seven Old Testament readings for the Easter Vigil. These are to be read in their entirety, unless “more serious pastoral circumstances demand” reducing their number (“Easter Vigil,” Roman Missal, 21). At least three of the readings from the Old Testament must be used, always including the reading from Exodus concerning the passing through the Red Sea. In place of the accompanying responsorial psalms, a period of silence may also be observed (23). 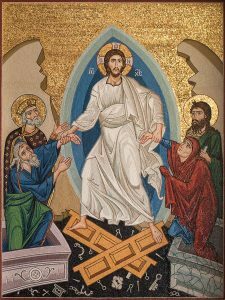 Renewal of Baptismal Promises on Easter Sunday – “On Easter Sunday, the optional nature of the Renewal of Baptismal Promises is emphasized in the rubrics, and the text itself is not included on Easter Sunday. If it is to be used, the text is taken from the appropriate place in the Easter Vigil, and the Creed is omitted. The Penitential Act still takes place as usual” (USCCB Divine Worship Secretariat Newsletter, May 2011). All parishes in the Archdiocese will have priests available to hear confessions from 4:00 – 8:00pm on this day. Pastors may wish to prepare parishioners for the celebration of this Sacrament by scheduling an Advent Penance Service. This feast occurs on a Saturday this year, but it remains a Holy Day of Obligation. Masses taking place in the evening of December 8 should celebrate the Second Sunday of Advent. The faithful may be advised that there is a Mass obligation both for the Solemnity of the Immaculate Conception and the Second Sunday of Advent; that is, each day of obligation must be fulfilled with a separate Mass. Starting on the First Sunday of Advent this year (December 2), the new Misal Romano must be used in all Masses celebrated in Spanish throughout the United States. This resource is being published by Catholic Book Publishing and Liturgical Press. On Saturday, February 23, from 10:00am – 12:00pm, the Office of Liturgy will be hosting a workshop which will introduce the deacon’s chants at Mass. This talk will be given at Saint Joseph’s Seminary by Dr. Jennifer Donelson, associate professor and director of sacred music at Dunwoodie. Topics to be covered include: chanting the Penitential Act, Gospel Acclamations, Gospel, Intercessions, Sign of Peace, Dismissal, Exsultet, and the Epiphany and Christmas proclamations. Basic vocal techniques for improving quality of sound and confidence will also be introduced. This workshop is designed both for novices as well as those with more experience. The registration fee is $15 and may be accessed on the Liturgy Office website. The Committee on Divine Worship is in the early stages of preparing a new English edition of the RCIA, to be titled the Order of Christian Initiation of Adults. Although the Latin editio typica has not changed, the International Commission on English in the Liturgy (ICEL) has completed a new translation of the Latin text. The Committee and its consultants have had preliminary discussions on the current ritual book and the RCIA process and have received the results from two surveys on the National Statutes for the Catechumenate, both conducted in 2014: one by the Center for Applied Research in the Apostolate (CARA) that looked specifically at how the statutes were being implemented, and the other, a consultation conducted by the Federation of Diocesan Liturgical Commissions (FDLC) that suggested ways that the Statutes could be improved. As a complement to these discussions and expert consultations, the USCCB Secretariat of Divine Worship would also like to hear from others about their experiences with the RCIA, both the process in general and, in particular, the ritual book and the National Statutes. Responses may be e-mailed to RCIA@usccb.org, or they can be sent by regular mail to: USCCB – Divine Worship, 3211 Fourth Street, NE, Washington, DC 20017, ATTN: RCIA Consultation. Responses must be received by December 31, 2018. What does the Church Have to Say about Sacred Music?